Often when we contact a translation company (and sometimes when a translation company contacts us), we are asked to do a translation test, or sample translation, as a preliminary to possible collaboration with them. Many translators object to doing translation tests for free, on various grounds, from the fact that other professionals do not do free tests (which is not exactly true, as many lawyers and other professionals do provide free consultations, after which you can decide whether to retain them or not), to the fact that translation tests are allegedly used by unscrupulous agencies to stitch together the translation of an entire book done for free (which I have always thought a translator's urban legend, as this is something people always hear but never actually see first hand, and also because any agency that would attempt a stunt like that would soon be out of business, as the resulting quality of such a patchwork would certainly be abysmal). Another objection is that translation tests mean little, and that translation companies should rely instead on the work experience, education, or other indicators of a translator's worth, which is a valid objection, but would not help one gain work from an agency who has decided to use translation tests in their screening process: normally, if you don't do the test, you also don't work for them. In my opinion, the best objection to doing free translation tests is that one has no time for that: if you already have enough work, doing a translation test for free is probably not the best investment of your time. The test should be of an acceptable length (normally no more than 500 words or so). 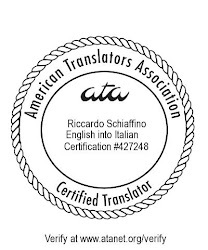 Read carefully, and follow any instructions given together with the test: when I worked as a manager in the translation department of a major business software company, we used translation tests as a part of our screening process. We never asked to translate more than 250 to 350 words, but we normally sent out tests in which the words to translated were clearly marked within longer texts. Failure to follow the instructions (by, for example translating more than we had asked) was a serious mark against our candidates, since it was indicative that these translators would not be good at following instructions in a real work environment, either. If you accept to do the test, do your best, and treat it as a real work assignment: put your best foot forward. Do not leave alternate translations: you would not do that in a real work assignment, and you should not do in a test (any alternate translations left in a test would normally be marked as an error). Do not add translator's notes, unless specifically requested to do so in the instructions: I've seen many apparently acceptable tests fail because the translation notes made clear that the translator had not, in fact, understood the meaning of some sentence or term. Do not have someone else translate the test for you: I've seen it done, and more often than not cheats are quickly found out, if not during the test evaluation, eventually with the first work assignment. Do not use Babelfish to do the test (happened: we once received a test which looked really terrible. We began to joke that Babelfish probably would not do it worse, so we run the test through Babelfish, just to see how much worse a free MT program would do it... turned out it did it exactly the same, as the would be translator had used it to do the test). "Another objection is that translation tests mean little, and that translation companies should rely instead on the work experience, education, or other indicators of a translator's worth." On the contrary; I've seen translations ranging from mediocre to abominable from experienced, degreed translators too many times to be able to agree with this statement. As the saying goes, the proof is in the pudding. Well, the saying actually goes "the proof of the pudding is in the eating," but the first version makes the point just as well. Another objection should be that some agencies probably send a 100 translation tests for one assignment and other 100 for the next one. Many times agencies request tests too easyly instead of proofreading the ones they got. In those cases you are not compeeting with other translators but with "the million monkeys that wrote Macbeth"
I do not andswer job posts where a TT is included, however, if an agency asks me directly to do one, i will most probably do it. hi ,thank you for the pointers, i actually use alternate translation of certain words since usually there are some idioms that are specifically used by some more than others so i try to put an alternate translation of a word and not phrases! but only some words for them to decide which is more appropriate , i admit i shouldnt do that since it shows that im not quite sure of my translation work , but i always get good feedbacks,still i proofread the script time and again ! looks like someone is advertising a service up above here. Thanks for pointing that out. I have just deleted that comment. Hi I am an exchange student from ecuador. I have been in US since augusT and for my senior project I am translating legends from my counry into the English language. CAN YOU PLEASE GIVE ME SOME ADVICES ABOUT TRANSLATION? I'd be happy to, but I'd need to have more information from you: what kind of advice you need, and about what aspect of translation? Well, my translation project is kind of long and sometimes I cant translate literally because there is a cultural expression, what should I do in order to not get misunderstood. Could you tell me also how ha been your experience as a translator so far? Usually it's best *not* to translate "literally" if by that you mean "word for word". If the text you are translating includes idioms and cultural expressions that you think might be misunderstood, you should perhaps expand or explain them, or sometimes replace them with an equivalent idiom in the target language (for instance when LA Spanish says "Es muy padre! ", the best translation in English could sometimes be "It's so cool!". Depending on the type of translation you are doing, also, you may explain idioms and other elements peculiar to the source culture in a translator's note (e.g., if that is appropriate in your document you could translate "Es muy padre!" as "It's so cool", then add a note to explain what the Spanish literally says, and what the roots of the expression are). It might be hard at first but if you really love what you're doing, I'm sure you can do it. Anyway, thanks for sharing a great article!